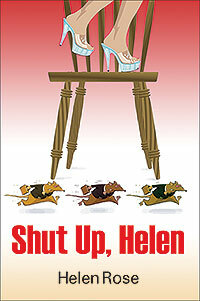 Helen Rose’s “Shut Up Helen.” Helen and her daughter, Johnna, became trapped in a disastrous war with lawyers and insurers after Johnna’s accident. She needs treatment, but the courts and lawyers are all looking out for themselves and the victims are taken for a ride by the legal system. Here is the eye-opening truth of a real-life insurance nightmare. You or someone you love may need this someday — to fight your own battle. Previous Previous post: Congratulations to Our Readers Favorite Award-Winning Self-Publishing Authors!